Commuter friendly between SB county and LA county. 1/3 mile off paved El Mirage Rd. Room for animals, toys, trucks and close to the El Mirage OHV recreational area. Ideal for trucker on investor. 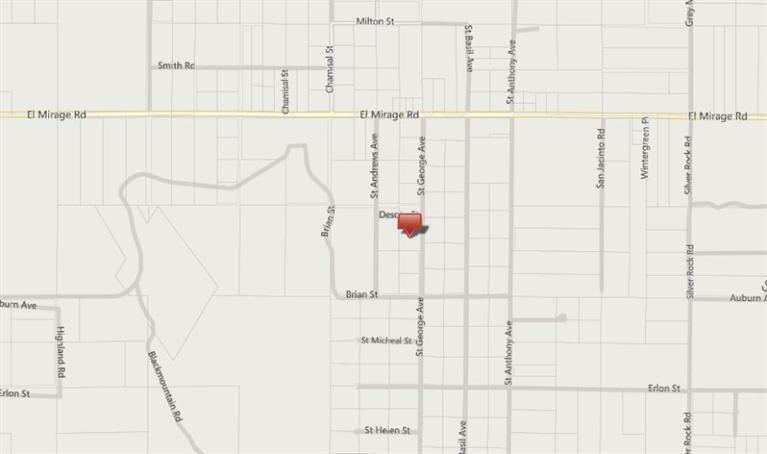 Directions: El Mirage Rd., South On Saint George 1/3 Mile To Subject Property On Right Side.